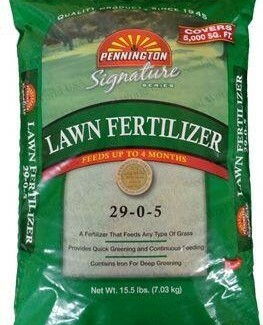 Pennington lawn food is a general purpose lawn food fertilizer with extra iron for deep greening of your lawn. This is a high analysis fertilizer containing slow release nitrogen to give your lawn a vigorous green color. This fertilizer is safe for your lawn and will not burn it when used as directed. This lawn food is long-lasting and gradually feeds your lawn for up to 4 months. 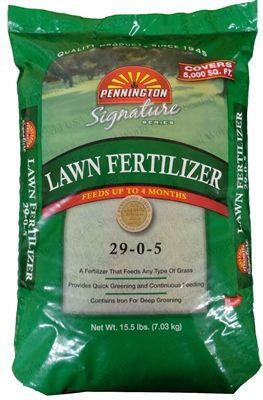 With a high nitrogen content, Pennington lawn food fertilizer lasts a lot longer than conventional fertilizers. 46 lbs. covers 15,000 sq. ft.